I’m still on my quest to read books by authors I wouldn’t usually choose, looking at genres which are new to me, discovering what I can learn as a writer from them. I recently heard a keynote speech by Meg Rosoff at a writers’ conference and I decided she clearly knows and can explain fluently how her creative mind works as an author, so I bought her novel ‘How I live now’ and I read it last week. 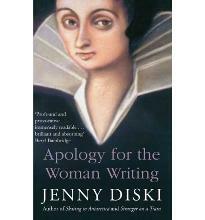 I then read ‘Apology for the Woman Writing’ by Jenny Diski. She is my sort of writer. I’ve read half a dozen of her books before. Diski, the unofficially adopted daughter of Doris Lessing, died this April and I’ve always admired the way she writes and her conviction to delve into any subject, taboo or otherwise, so I read ‘Apology’. Diski writes beautifully: her phrases are muscular and intelligent and she paints pictures with words which not only evoke a character or a setting but do so with conviction and flair. I read ‘How I live now’ in two days. I discussed Rosoff’s work with a friend who has boundless insight into YA novels and she shrewdly recommended that I read this one first. Rosoff’s story is about an American girl, Daisy, who comes to stay with cousins in the UK: the country is ravaged by civil war. Daisy has her own teenage issues which she brings to the story and she falls in love with her cousin Edmond and they live a blissful and natural existence until the war rips the children’s home apart. Rosoff is strong on issues: Daisy has a problem with eating and it is an integral part of who she is, and it is a direct result of her past. Rosoff does not provide fairytale stories or easy answers but when Daisy is on the run for her life with her young cousin Piper, her needs change and new resolutions begin to occur in her life as other problems arise. This is a book I wish I’d read as a teenager. The characters are natural and imperfect and I believed in their lives and shared their problems. Through Daisy’s eyes, we understand her background, her passions and the horrors of the war which she must learn to deal with and surmount. The tragedies, killings and heartaches which stem from the war are never diluted and the result is that the story has impact and there is tension throughout. Of course, the journey is difficult for Marie who is awkward, spontaneous and determined, and Diski shows us the hazards which lie in wait for her in a world where intellectual discussion and writing exist only in male-dominated society. Diski writes with clarity and accuracy and we quickly understand the pressures which lie in wait for Marie. The story begins with her as an older woman, wheezing on her death bed, attended by an ancient cat and an impoverished servant. Marie’s story is never going to be easy reading. Nor is Michel de Montaigne a perfect mentor for Marie. He is conceited and inflexible, entrenched in his gender and cultural expectations, so he views her as an oddity, impressed by her mind but but not able to fully accommodate her intense desire to learn. Both books make fascinating reading. Rosoff’s novel is a quick read with a younger audience in mind, and Diski’s story is a study of a slice of history from the perspective of a gifted but eccentric woman. It is a novel which, of course, makes us consider gender politics today with regard to women’s intellectual contributions to society. Diski and Rosoff are important writers and I enjoyed both books. Rosoff writes a romping good read for young adults but her work goes beyond that, as she is a driving force for youngsters to accept who they are and to deal actively and positively with the hand life offers them. Diski shows us a woman with potential and how a male-dominated society fails to take her seriously. Both women write brilliantly in their own genre and there is much to learn from their style, from their incisive minds and the content of their books.